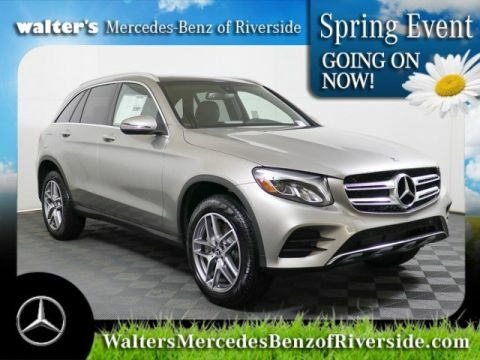 With turbo power, 19-inch wheels and confident all-wheel drive, the GLC 300 Coupe wraps the innovative luxury and roomy cabin of the benchmark GLC SUV in a muscular physique. It's a practical SUV and a practically perfect coupe. The agility of a Mercedes-Benz coupe meets the muscle of a legendary family of SUVs in the GLC Coupe. From its sizable 19-inch wheels to its power-dome hood and arching roof, it's got a confident stance that's true to the sporty soul within. And its brilliance shines in many ways, from its gloss black diamond-block grille and LED lighting to its turbocharged performance and advanced innovations. From how it looks to how it touches you, the GLC Coupe cabin is at once intriguing and inviting. The wide console cascades between the deeply contoured front seats. Controls and displays fall to hand or meet the eye effortlessly, yet engagingly. 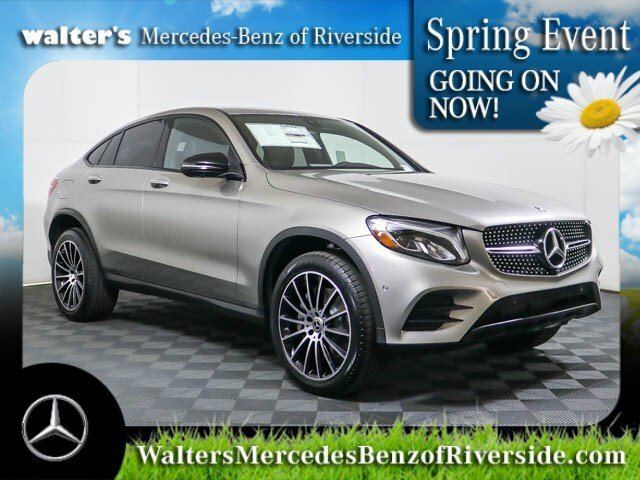 And every surface conveys the richness you expect from a Mercedes-Benz coupe with the polished precision that's promised by the Star, from a sports car to an SUV. From high tech to its human touches, it's a distinctly rewarding driving environment. The 241-hp 2.0L turbo inline-4 in the GLC 300 combines numerous advances to deliver more power from less fuel. Its rapid-multispark ignition and high-pressure Direct Injection can fine-tune themselves in milliseconds. Its turbocharger spools up quickly to boost response, helping deliver all of the engine's 273 lb-ft of torque at just 1,300 rpm. Widely variable timing of all 16 valves and innovative 3-phase cooling team up to reduce emissions while raising your emotions. With a greater range of ratios and shorter steps between gears, the 9-speed automatic changes gears more quickly but nearly imperceptibly. Along with a more seamless delivery of power, the lighter, more versatile transmission enhances quiet riding comfort and fuel-efficiency. The electronic selector and shift paddles let you control all gear changes with your hands on the steering wheel. And drivers can vary the shift modes via the innovative DYNAMIC SELECT system. 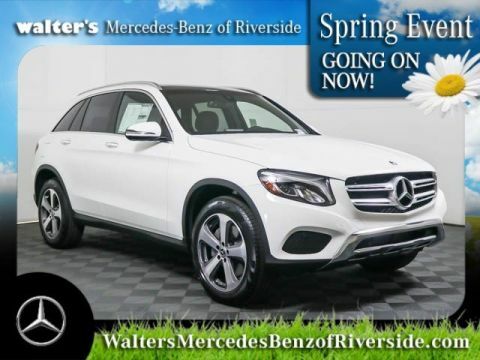 In any season, on any road, 4MATIC®(R) all-wheel drive adds to your confidence and control. Always engaged and optimizing torque to every wheel, 4MATIC® integrates with ESP®(R), our standard Electronic Stability Program, for maximum effectiveness in corners and slippery conditions. It also incorporates our 4-wheel Electronic Traction System (4-ETS(R)), which monitors for the first sign of wheel slip and responds to ensure torque is sent to the wheels with the best grip, even if that's only one wheel. Radar-based technology alerts you if you're approaching a vehicle ahead, or even some stationary objects, at a speed and distance that suggest a collision is likely. As soon as the driver starts to brake, the system can automatically provide an appropriate level of braking to help prevent a collision or reduce its severity. If you fail to respond, the system can also initiate braking automatically from speeds up to 65 mph and can activate the features of PRESAFE®(R). The first system of its kind, ATTENTION ASSIST®(R) continuously monitors up to 70 parameters of driving behavior and can automatically alert the driver with both visual and audible warnings if it detects signs of drowsiness on long trips. With enhanced sensitivity, the system can also help detect drivers who begin their trip drowsy and offer more useful information to drivers along their journey via a new dashboard display. Interpreting information that is continually supplied by the vehicle's Electronic Stability Program (ESP®(R)), electric power steering and suspension sensors, Crosswind Assist helps detect the effects of strong side winds on handling stability at highway speeds. Whether caused by lateral gusts or even a passing truck, the system helps keep the car on course via strategic braking of the wheels on one side of the vehicle, as well as adjustments to the AIR BODY CONTROL suspension when so equipped. 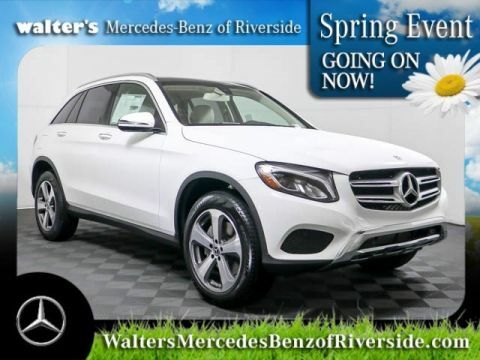 Let the new 2019 Mercedes-Benz GLC 300 4MATIC® Coupe impress you in person today at Walter's Mercedes-Benz of Riverside located at 3213 Adams St. Riverside, CA 92504.